1st time on the market! 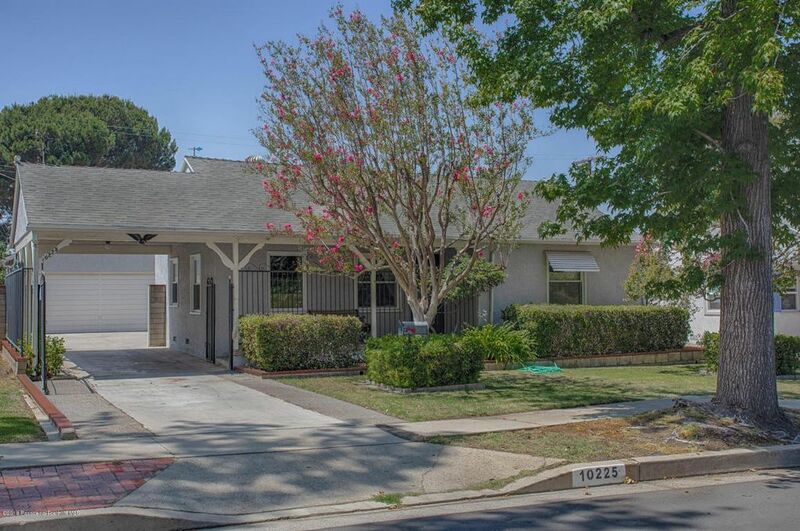 This wonderful South Sunland 3BR 3Bath home with great curb appeal beckons you to enter. Featuring a tree-lined street, a gated driveway with a Porte-Cochere opening to the front porch this home is full of charm. The open floor plan with dining room, living room combo w hardwood floors connects to the kitchen with hardwood cabinets, plenty of storage and lots of counter space. Custom wood shutters on windows throughout the home. The master suite features custom built-in wardrobes with closet space, built-in drawers and a custom built-in desk and hardwood floors. Bedrooms 2 and 3 both also feature hardwood floors and custom closets with built in drawers. All bedrooms feature overhead storage and custom shutters. This home has been spruced up and is move-in ready. It is also perfect for upgrades to kitchen and baths. This great home has had one owner for all 68 years since it was built in 1950. A double detached garage, a covered backyard patio with barbeque area, water fountain and planters with plenty of parking in the gated driveway round out the backyard. Other features include central air, back porch, laundry area and a small spa room.